Omigosh, how happy does this face, drizzled with syrup, make you? Whether you dig ’em plain, buttered, covered in powdered sugar, or sopping in syrup, Mickey Waffles are just plain dee-lish. Just LOOKING at them makes me want to do my Happy Dance. 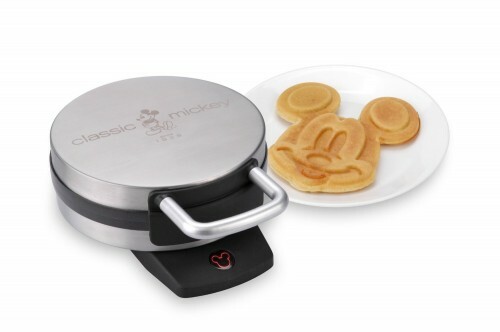 I have never met a Mickey Waffle I didn’t like, so I can’t wait to give this Classic Mickey Waffle Iron a whirl in my own kitchen. Now I can pretend I’m on-property whether the property belongs to Disney or just to little ole me! Who doesn’t love to start off their morning with Mickey waffles!? This would make waffles at home even extra special – everyone totally needs one of these!